Finally. For the first time in what seems like forever, teenagers will get the chance to see real women in an advertising campaign! Aerie, a lingerie and sleepwear brand from American Eagle Outfitters, is celebrating real beauty by featuring models who are not digitally enhanced in any way. The “Aerie Real” campaign models aren’t airbrushed, Photoshopped, or re-touched at all. We see tattoos, birthmarks, and other imperfections that, to be honest, are quite refreshing. As an advertising major, one of my concerns with the industry has always been women’s portrayal in commercials and campaigns. There are multiple problems with how the media treats women (in case you’re not familiar with all of them, check out Jen Seinmen’s “Miss Representation”. Seriously, if you haven’t seen this movie, you’re missing out! Watch it now!). One example is the unrealistic and unattainable standard for beauty promoted in advertisements. So, of course this campaign intrigued me because it’s showing women who look natural and healthy and real. The truth is, women and girls don’t want to see highly Photoshopped women who look flawless and fake. 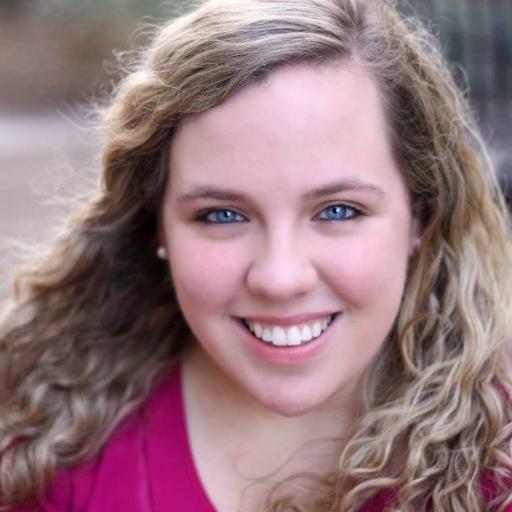 Remember when 14-year-old Julia Bluhm tried to get Seventeen magazine to feature one un-altered image of a women in each monthly edition of the magazine? After a large protest, Seventeen magazine gave in. This is not a new concept, but never before has a brand willingly, and without protest, featured women who weren’t airbrushed. Aerie is taking a stance and making a large claim (that women are amazing just they way they are, and they don’t need Photoshop to be beautiful). It’s about more than just Aerie trying to sell merchandise. This idea of real, unaltered beauty speaks to a larger message and purpose. It’s a step. A small step, but a step nonetheless toward a society where Photoshopping women is NOT the norm (you’d be surprised by what they can do with Photoshop. Have you seen this video?) Maybe one day the media will stop unrealistically portraying women’s bodies and distorting female’s body image. And I’m not the only one inspired by this campaign. 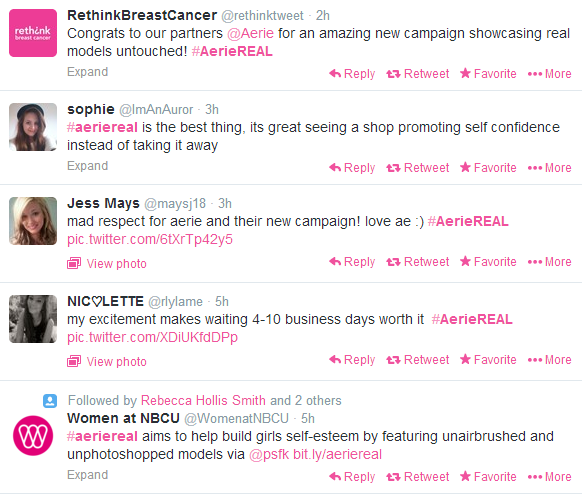 The #AerieReal hashtag is blowing up with positive responses from women all across the country! And while some people feel that Aerie is just using this idea to sell lingerie, honestly, I don’t even care. I’m just so relieved to see women who look like normal people in an advertising campaign. Aerie definitely took a chance with this one, and I’m hoping that other brands will follow the lead and try showing some natural women. Thoughts?